4Cs offers Child Care and Early Education Providers trainings and workshops that provide child development education along with various related subjects. These informative trainings and workshops are enjoyable by way of discussions and activities. Trainings and workshops are designed to enhance the provision of quality child care. Trainings and workshops are offered in English and Spanish. Register On-line in the Event Calendar below. The first three years of life are a period of incredible growth. Learn how the earliest relationships with caregivers can promote healthy development. It starts with Responsive Caregiving. Responsive care is the process of watching and tuning into a child’s cues, thinking about what they might mean, and then responding to them in a sensitive way. Knowing a child’s temperament, and stage of development will help you guide them and support their growth. Presented by: Jeanette Bellerive M.A. Los proveedores aprenderán a implementar las prácticas de atención basadas en relaciones que no son algo que se hace una vez y luego se olvida. Aprenderán cómo aumentar el enfoque en la calidad de la relación cuidadora-niño. Cómo trabajar con los niños en el desarrollo social emocional. Los proveedores también aprenderán a continuar el proceso que requiere actualizaciones para el desarrollo profesional, las políticas y los procedimientos con el fin de comunicar a los padres y al personal la importancia de cambiar hacia un modelo que valore la continuidad de la atención. The first three years of life are a period of incredible growth in all areas of a baby’s development, but most dramatically within an infant’s brain. Throughout the first 3 years, an infant’s brain creates hundreds of trillions of connections, or synapses. In this workshop we will explore the structure of brain development including how infants are “wired” for learning. Los tres primeros años de vida son un período de increíble crecimiento en todas las áreas de desarrollo del bebé, especialmente en el cerebro. A lo largo de los 3 primeros años, el cerebro de un bebé crea cientos de billones de conexiones, o sinapsis. En este taller vamos a explorar la estructura y desarrollo del cerebro incluyendo cómo los bebés nacen para aprender. Come and gather information about the resources available to families and child care providers in Santa Clara County. Listen to presentations from Community Organizations. Learn about the Subsidized Child Care System, Community Care Licensing and Community Based Organizations who support Child Care Providers and Parents. Gather resources and tips to use and share. Presentations will be in English and resources will be provided in multiple languages. 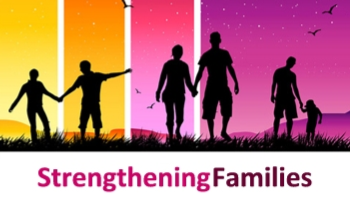 The Strengthening Families™ Protective Factors Framework is a national and international initiative that aims to develop and enhance five specific characteristics (called protective factors) that help keep families strong and children safe from abuse and neglect. A protective factor is a characteristic that makes a parent, child or family more likely to thrive and less likely to experience a negative outcome. Resilience, simply defined, means the ability to recover from difficult life experiences, and often to be strengthened by and even transformed by those experiences. Resilient parents have empathy for themselves and others and are able to keep a positive attitude, solve problems creatively and take life’s events in stride. Social connections help families stay strong, get through the hard times and enjoy family life. Families can have many different types of social connections that provide different types of support. Positive social connections can provide support when you need it, help you deal with stress and illness, are a positive influence and bring out the best in you. The Annie E. Casey Foundation defines successful families as those who have their basic needs met. They have economic security, housing, health care and other necessary resources in place. They also have some form of education or skill and are connected to family, neighbors, co-workers or friends. This course examines how providers can help support families and help connect them to others who can provide the support they need. Parents who have some knowledge of basic child development are likely to have more realistic expectations of their children. With that knowledge, parents are better able to provide an appropriate amount of nurturing, supervision, and guidance. When parents understand their roles in their children’s lives and learn about specific parenting techniques and strategies, they can form positive relationships with their children and have options for appropriate responses to typical child behaviors. This protective factor is the only one that addresses issues with children. The other protective factors are intended to “speak to parents” and offer suggestions and strategies for how they can strengthen their families. This workshop will provide vital information from the California State Disaster Plan, concentrating on Child Care Health and Safety Preparedness. 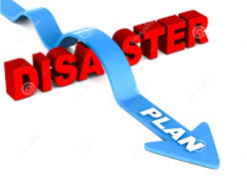 You will gain knowledge of your responsibility and the steps to take before, during and after a disaster occurs. Este taller proporcionará información vital del plan de emergencia del estado de California – el cuidado de niño salud y seguridad – Preparación del plan de Desastres de EEUU. Tendrá conocimiento de su responsabilidad y los pasos a seguir antes, durante y después de que un desastre ocurre .